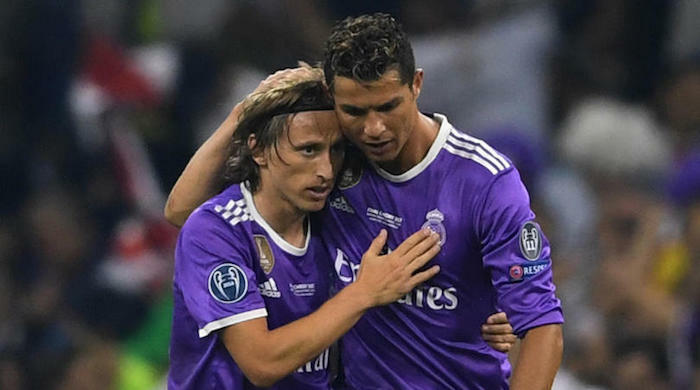 Real Madrid star Luka Modric has opened up on his friendship with Cristiano Ronaldo and revealed his admiration for Lionel Messi. Real Madrid midfielder Modric is a leading contender to end the star pair’s decade-long dominance of the Ballon d’Or after a sparkling season for club and country. The 33-year-old won the Champions League for a third straight year alongside Ronaldo and later saw off Messi’s Argentina on the way to reaching the World Cup final with Croatia. Modric has already secured FIFA’s The Best award from former team-mate Ronaldo, who is now at Juventus, but insists they remain on “excellent” terms despite the competition for individual honours. ‘We spent six wonderful years in Madrid where we developed a friendship and mutual respect,’ Modric told France Football. Messi appears a slight outsider to claim a sixth Ballon d’Or after finishing fifth in the voting for The Best. Modric overlooked his LaLiga rival upon naming the players he would most like to partner on the pitch, before revealing a simple reason for the snub. “I play against him, not with him,” the Madrid man said. Modric and Messi are due to meet when Barcelona host El Clasico on October 28.